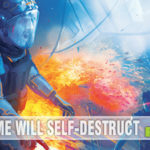 One of our goals here at SahmReviews is to let you know about new games hitting the market for the first time. By some counts there are over 5,000 new board and card games released every year. Of course there is no way we could learn, test, play and write about that many in only 365 days, so the titles we feature are the ones we feel are worthy of a spot in your game collection. 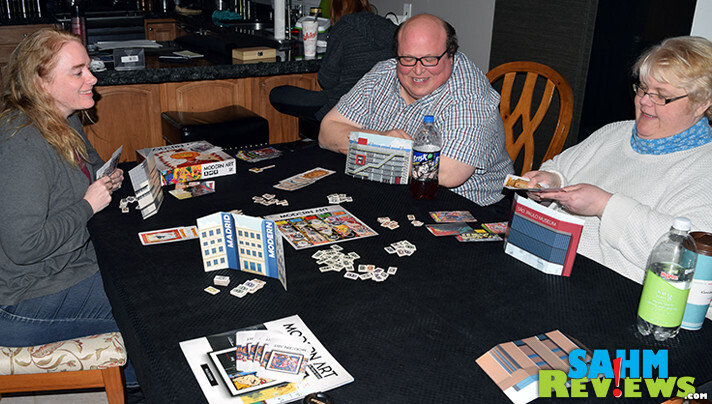 Every Sunday we also feature a well-loved game that we have found at a local thrift store. Most of the time these are obscure titles from the 70’s, 80’s or 90’s. The majority have only been published one time, with the publisher either moving on to other projects or going out of business entirely. They’re all still new to us, so even though they’re decades old, we enjoy them immensely. Excluding the classic games like Monopoly, Scrabble and Candy Land, there really aren’t too many games that stand the test of time. If I had to guess, less than 5% of all issues make it to a 2nd printing. Even fewer make it further than that. 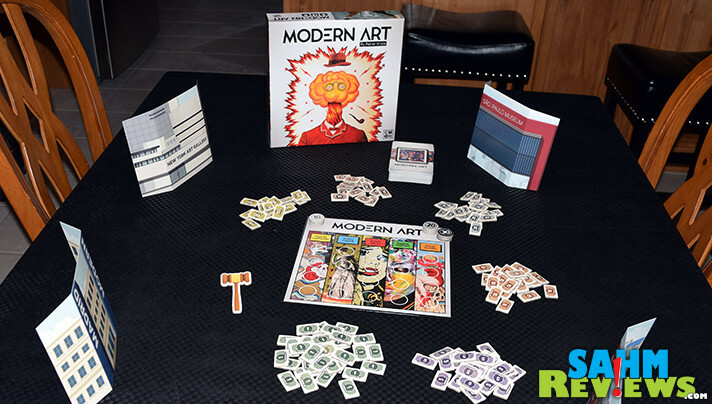 Today’s feature game, Modern Art by CMON is one of the rarities to have not only survived past the first few editions, it is now offered in multiple languages by multiple publishers, and has been a game shelf favorite for 25 years! And I’ll bet you’ve never heard of it. 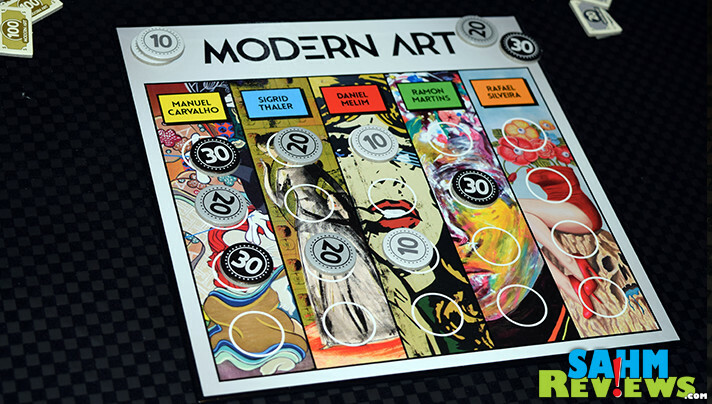 Modern Art was first published in the early 90’s and has now been reimagined by CMON using updated artwork and components. The premise of the game is the same – you are a buying agent for an art museum and want to purchase the popular art pieces at the lowest price possible while allowing the museum to profit from their sale when their exhibit is complete. Your opponents hold the same position at different museums, so of course they are trying to accomplish the same. 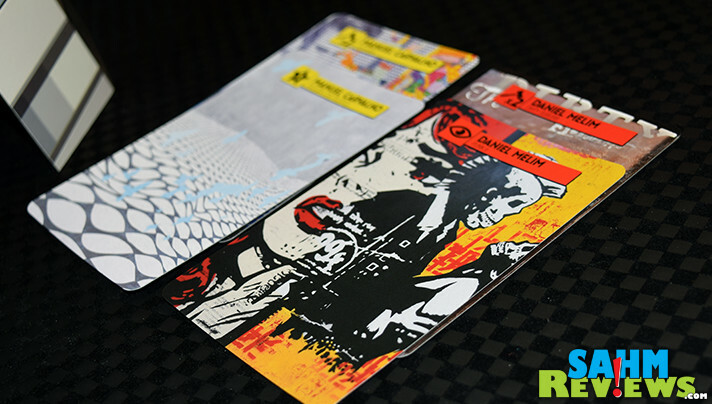 Each player begins the game with a $100,000 budget and a hand of cards featuring various pieces of art by five artists. 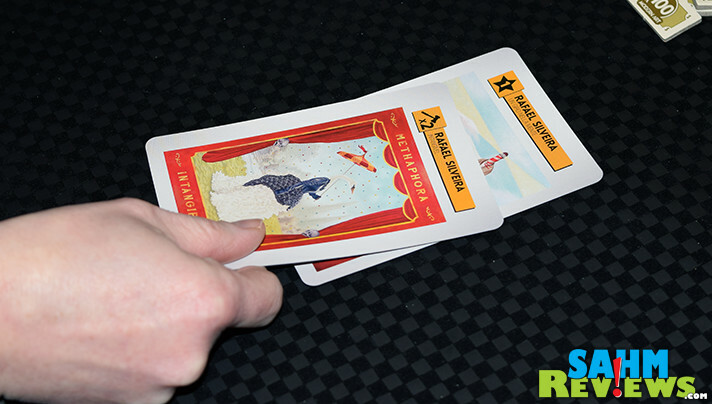 On your turn you will choose one of the cards to auction off and place it face-up in front of you. Each card has a specific icon dictating what type of auction it will be. An Open Auction is a normal “anything goes” auction where players bid in any order until you have a high bidder that no one wants to outbid. A One Offer Auction simply goes around the table once, with each person having only one chance at raising the bid. The Auctioneer (the person who originally played the card) gets the last chance to bid. Hidden Auctions are done secretly. Take the amount you are willing to bid from your pool and place it in a closed hand. Everyone reveals their bid at the same time, and if a tie exists, the person closest to the auctioneer wins. 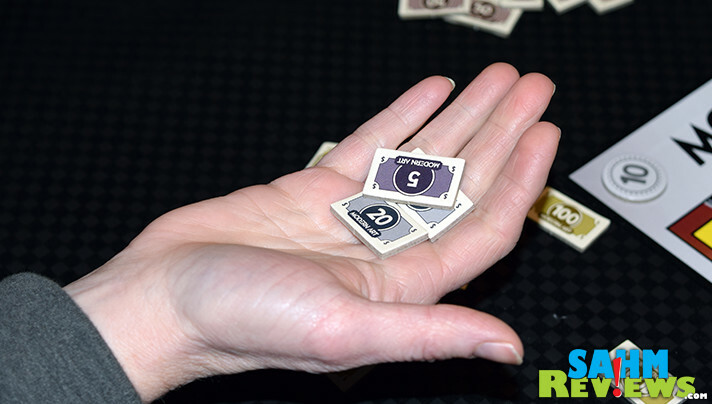 Fixed Price Auctions are the simplest – the Auctioneer sets a Buy-It-Now price and in order anyone can purchase it or pass to the next player. Only if it makes it around to the Auctioneer do they get a chance to buy it. Lastly are Double Auctions. These special cards are marked with a “2x” and signify that there will be two pieces of art by the same artist sold in one lot. When played, the Auctioneer then selects a second card by the same artist and also lays it down. The auction type is determined by the one listed on the second card, but will apply to the lot of two instead of just the one card! In all auction cases, the winning bidder pays the Auctioneer the final winning price, with the Auctioneer paying the bank if they were the successful bidder. They collect their new acquisition and place it in front of their museum for everyone to see. A round immediately ends once the 5th example from one artist is put up for auction during that round. The artist with the highest number of pieces sold during that round receives a valuation of $30,000 per painting, which is tracked on the included board. The next-highest artist is valued at $20,000, while the 3rd gets a value of $10,000. The other two artists are considered worthless for this round, so if you bought their paintings, you are out of luck. The museums sell their paintings for their assessed values and a new round is begun. A total of only four rounds are played, but because of the potential valuations, the costs will ramp up very quickly. On subsequent rounds, an artist’s piece value is determined by its value of the current round PLUS the value of all previous rounds! But only if they received any value in the current round – if they are worthless this round, they do not receive the previous round valuations. 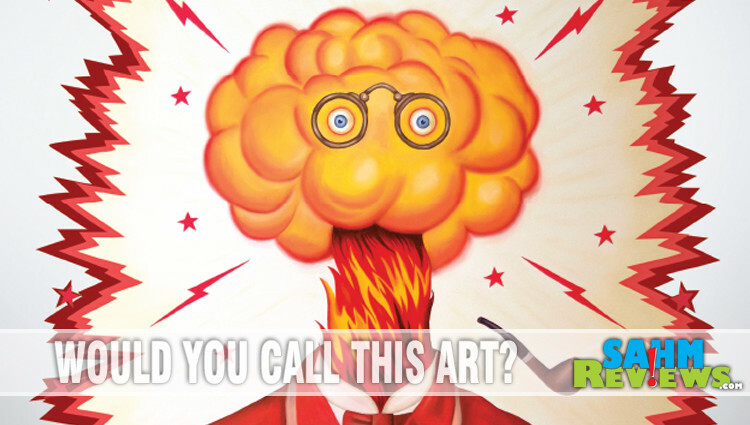 After four rounds, the player with the most money is the overall winner of Modern Art! We feel strongly that one of the primary reasons Modern Art has stood up over the years (other than simple-to-teach gameplay) is the fact that it is a good teacher of a couple of principles. Modern Art can easily be used in an instructional setting to learn about risk vs. rewards as well as supply/demand. There are a limited number of art pieces and prices are set based upon the demand in the current round. Many times an artist will start out strong, only to see their paintings end up worthless by the end of the game. And if you risk all your money one one artist while your opponents are diversifying among many others, you may find yourself on the outside very quickly. 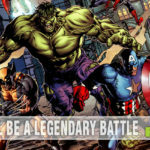 Of all the versions issued since the 90’s, why should you spring for CMON’s new version? Not only is the new artwork colorful and current, they have devoted a healthy portion of the rulebook to biographies of each artist – yes, they are all current professional artists you can enjoy in modern art museums all over the world! This makes for a third educational reason to order your copy today! 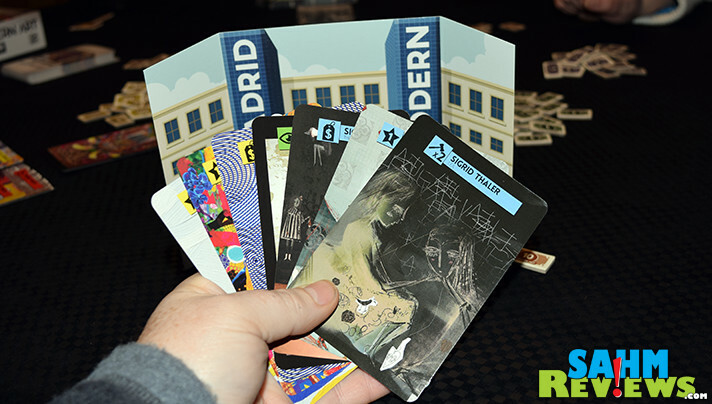 At under $30, Modern Art is an extremely affordable learning tool in additional to being a great game. Any version should be in your collection, but considering how inexpensive the CMON release is, there is no reason to try to search out any others! 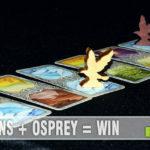 We’re excited to see CMON branch out from what is considered their normal offerings – highly-detailed miniature-based games. Follow them on Facebook and Twitter to see if they’re working on any other classics brought up-to-date! Do you enjoy going to art museums? You are absolutely right, I have never heard of this game. 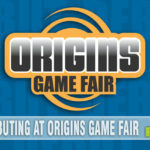 I think it will be a great addition to our arsenal of games. I know that it will help my grandchildren learn about art. Super, super game! Oh my gosh this looks so fun! I love the premise of it! We are a family of art lovers and this game would be a ton of fun for us! I would be interested in checking out the previous versions as well. Looks like we are going to enjoy a new game this weekend. I love getting new board games. My children, even if they are all grown always look forward to our game nights. What an interesting board game. I am certain my art lovin’ in-laws will enjoy this at our next get together.